Another colorful fun learning set from Match It! puzzle series will help your child to recognize the upper and lower case letters. Another colorful fun learning set from Match It! puzzle series will help your child to recognize the upper and lower case letters. Upper & Lower Case Letters Match It! 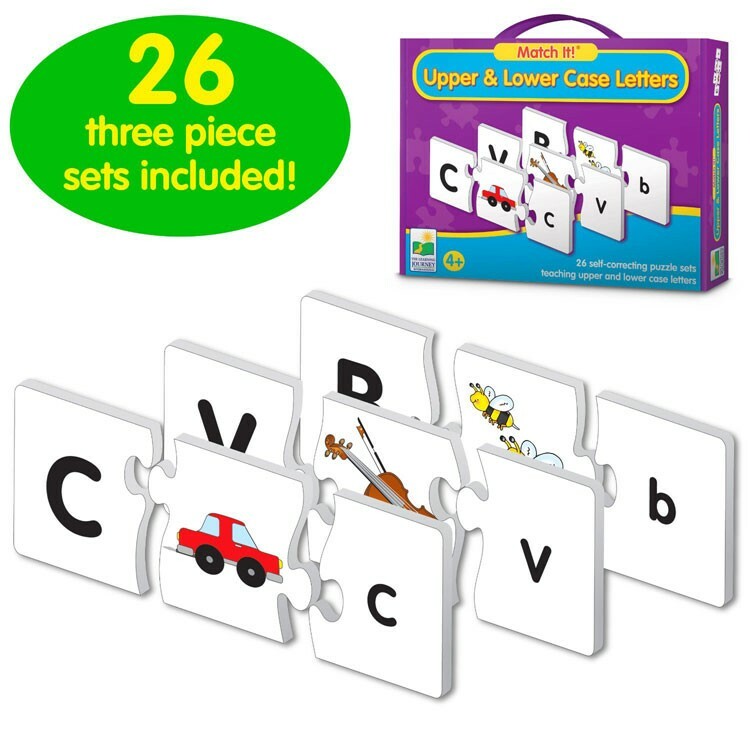 Learning Puzzle by the Learning Journey includes 26 letter card sets. Each set of puzzle pieces shows the upper case letter, a kids friendly illustration of a thing that starts with the letter, and the lower case letter. Just put the puzzle pieces together to match the right set from the Match It! game. This alphabet learning puzzle game is self-correcting as there is only one puzzle piece that fits. As some other Match It! puzzles from Educational Toys Planet, this uppercase and lowercase letter puzzle presents great educational value, good quality puzzles, excellent price toys. Find more Match It! Puzzles in our store. 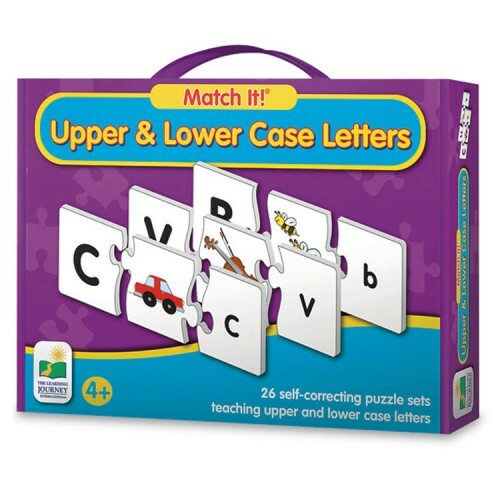 Write your own review of Upper & Lower Case Letters Match It! Learning Puzzle.